I’m the type of girl who reserves chocolate for herself for times of need — and I can justify a “need” basically any time I want a little kick of cacao. 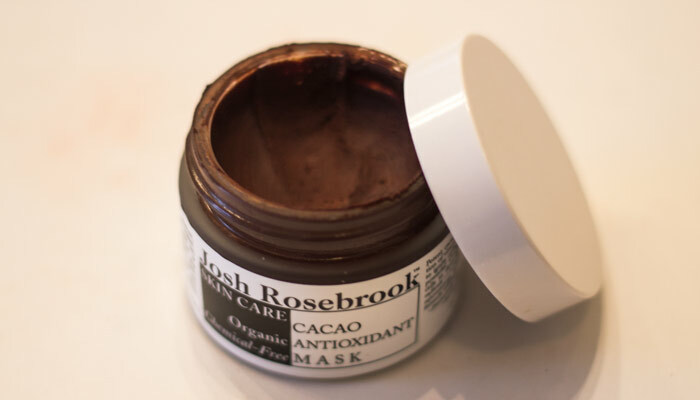 A new need-to-have mask for me is Josh Rosebrook’s Cacao Antioxidant Mask, a thick, luscious treat that has my skin swooning upon first application. I was drawn to Josh Rosebrook’s Cacao Antioxidant Mask after perusing his skin care collection a bit. I’m a sucker for masks, and the idea of a flavanol- and CoQ10-packed mask that harnesses its power from cacao was just too good to pass up. Plus, the rich coloring of this mask meant there would be some serious selfies in store. You may have seen from past reviews that I’m prone to chocoholic tendencies (see here, here and here), but this mask especially intrigued me because cacao is ingredient No. 3 on the list — hello, potency! Structured vitamin water concentrate, distilled water, organic cacao (cocoa) powder, organic witch hazel extract, vinegar, organic oils of: almond and grape seed; herbal infusions of: lavender flowers, ginkgo leaf, alfalfa, bilberry, neem leaf, comfrey, marshmallow root, skullcap, St. John’s wort, yerba mate, sage, bladderwrack, papaya leaf, hawthorn berry and clary sage. Organic coq10 organic essential oils of: orange, lavender, rosemary, calendula. This mask was a smart purchase for me because it’s excellent and giving me back a bit of that glow without compromising any time to prep. This is thanks to the skin stimulation that the cacao awakens — I feel a bit of a rush with this mask, though it’s not warming by any means. I think it’s also thanks to the multitude of beneficial ingredients packed into this smell-good mask. Witch hazel is a staple for acneic skin, but it balanced with soothing lavender. Powerhouses such as neem (an amazing ingredient for treating breakouts) and bladderwack (loaded with vitamin A) pump up this mask so that it has a little something for everyone’s needs. Have you tried anything from Josh Rosebrook’s personal-care collection? 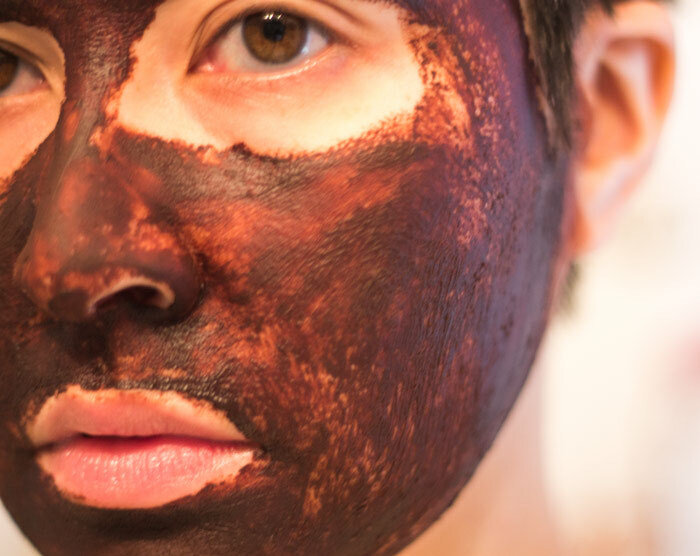 What do you think of cacao-based masks? Tell me in the comments section!